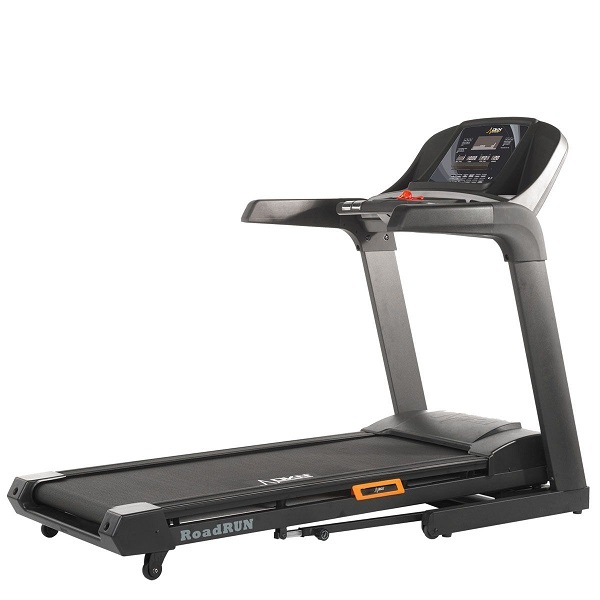 Over the past few years, Reebok Fitness have grown to be big player in the home treadmill market. 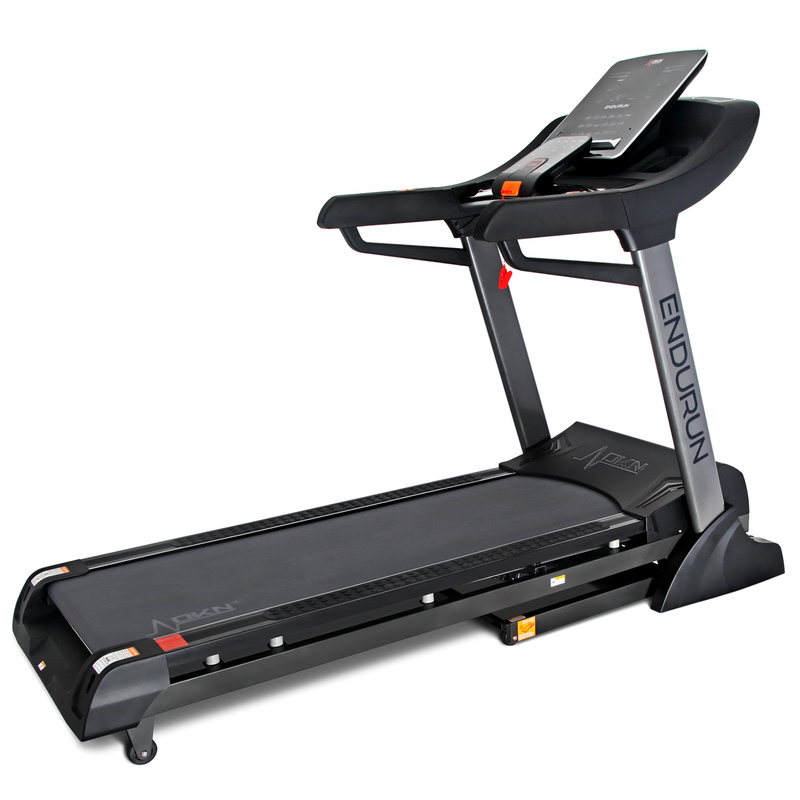 In 2011, they took the market by storm with launch of the Z-Series of treadmills. Now, Reebok have added the “ZR” series! 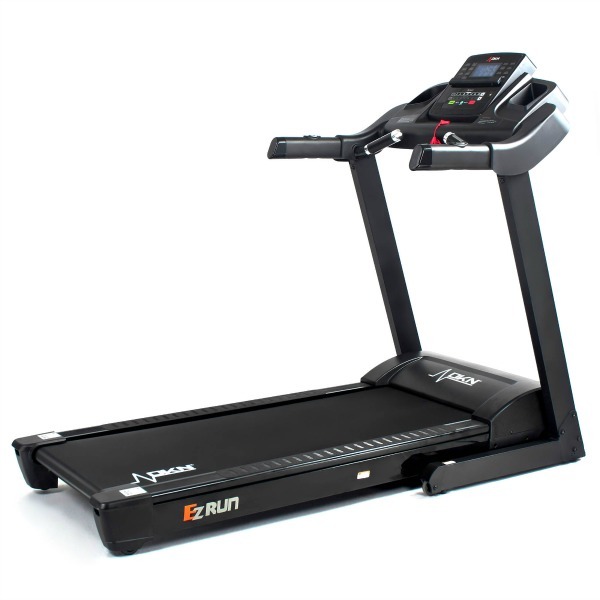 The first machine in the series to is the ZR10 treadmill and we’re pleased to be reviewing this model. Our first observation was that the machine was an absolute doddle to put together. It was pretty much pre-built in the box, just needed to list the uprights into place, twist the console to the correct position put in a few screws and plastic covers and job done. Even though it’s quick and simple, we’d still recommend having two people as this treadmill is rather heavy and weighs in at 85kg! Once assembled, it becomes clear that this ZR10 treadmill isn’t just a incremental improvement on the Z9 treadmill that was the top of the range of the Z-Series. There is a completely new frame, platform and console / handlebar design. 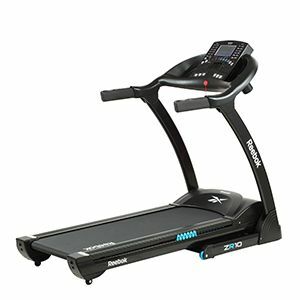 There are stickers on the side rails that immediately draw your attention to one of the special features of this treadmill: The cushioning: It would seem that for the first time, Reebok Fitness have taken some of the technology from Reebok’s very successful ZigTech running shoes and incorporated the principals of this into the cushioning of the running deck. The official explanation (on the sticker) seems fairly complicated and talks about the energy from the heel impact being dissipated further down the deck and subsequently resulting in more muscle groups being exercised. The simple explanation comes from folding the deck to actually look at the cushioning and also just running on it 🙂 . Basically, the front part of the deck has softer cushioning, which provides extra support on heel impact and the back of the deck has stiffer cushioning to make for a firmer surface to push off from. Your reviewer can confirm that the deck is nice to jog on and has a nice feel about it. In addition to the innovative cushioning, the running deck is decent 45cm by 135cm in size. We feel this is a compromise between having a deck that’s large enough for most people to be able to run on, while still having a relatively compact form factor, taking up less space than many treadmills in the home. 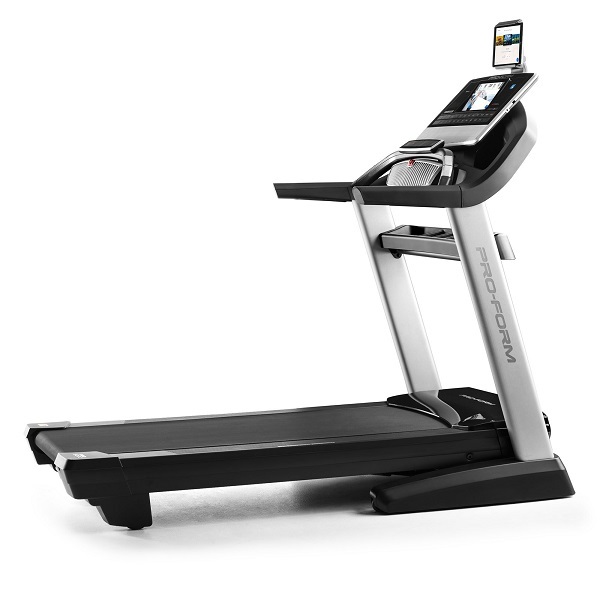 Powered by a 2 HP continuous duty motor, the treadmill has plenty of power and quietly drives the belt to a top speed of 18 kph (over 11 mph!)! This machine features a 15-levels powered incline. 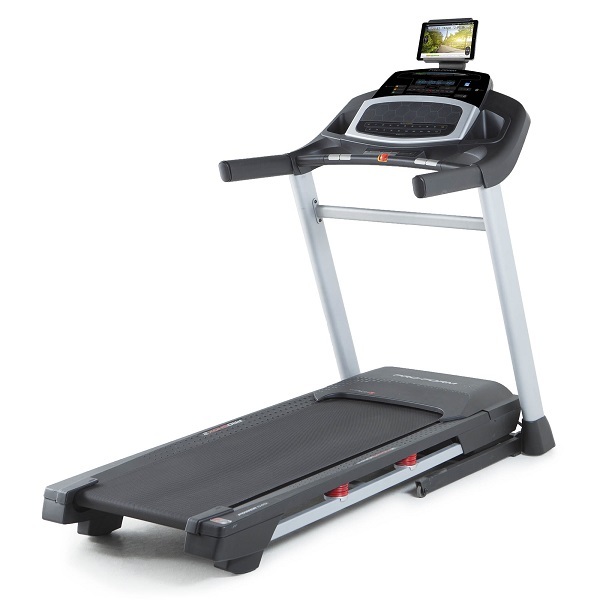 However, at its maximum incline level, it’s only about 7 or 8% which is lower than most similarly priced treadmills and will be a disappointment to those looking to use a treadmill for weight loss, as slower speeds at a higher incline burn as many calories as running at higher speeds on a flat surface. Clearly, running at a lower speeds is more kind to the joints. So, what’s the console like? It seems that the design department at Reebok Fitness have been determined to come up with a console that ticks every single box. There’s a clear back-lit LCD display which provides all the feedback needed, a cooling fan, a pair of speakers and even a water bottle holder. However, it’s fairly clear that both the fan and the speakers have the primary purpose of the spec sheet look good, as the speakers are tinny and the fan doesn’t seem to do much other than make noise! With the sheer breadth of programs available on the ZR10, boredom is unlikely to set in at any stage. There are 24 preset ones whose speed and incline profiles are printed right on the console itself and each one can be used for a use-defined duration. There are 3 target programs where you set the target time, distance or calories and the speed and incline is controlled manually. For those who can’t find any of the preset programs meeting their needs, there are 3 user defined programs. As if all of this wasn’t enough, there’s even a body fat test function on the console! In terms of controls, it’s nice to see handlebar speed and incline adjustment keys in addition to the shortcut keys on the console. 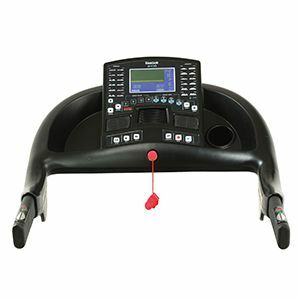 We feel that making changes to the speed and incline are a lot easier to do when running using the handlebars, rather than leaning forward to use the console. 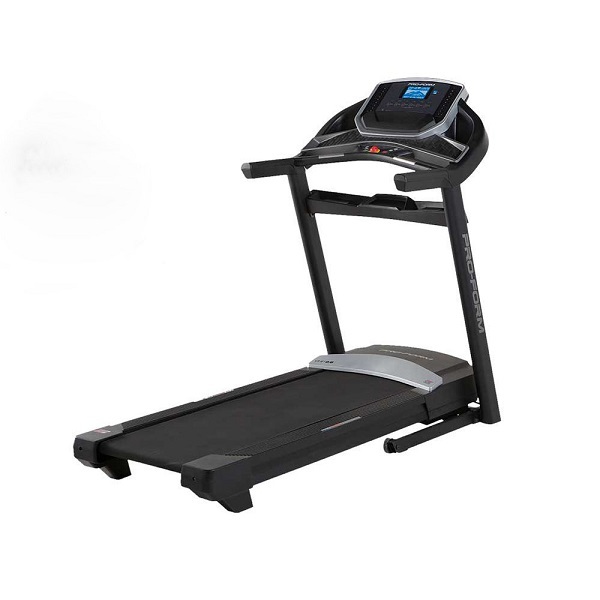 The Reebok ZR10 treadmill has a folding deck that safely locks into position and has a soft-drop feature for unfolding and there are transport wheels for moving the machine around (though do remember that this is a heavy machine). The warranty on the ZR10 is Reebok’s standard 2 years parts and labour. We’d like to think that you’d be unlikely to call on this as the build quality of the unit we tested seemed pretty good. The ZR10 has some decent features, runs pretty quietly and comes from a well-known brand. 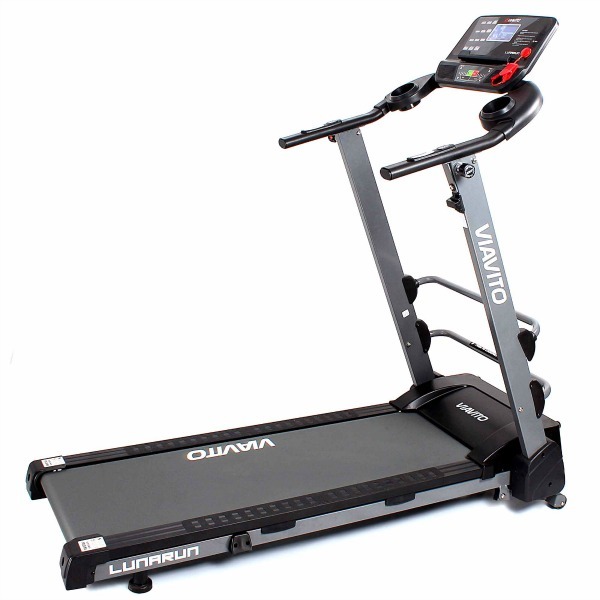 However, for those short of space, the Viavito Lunarun with a higher real incline is available for less and for similar money, a much better spec machine can be had with the Proform 525.